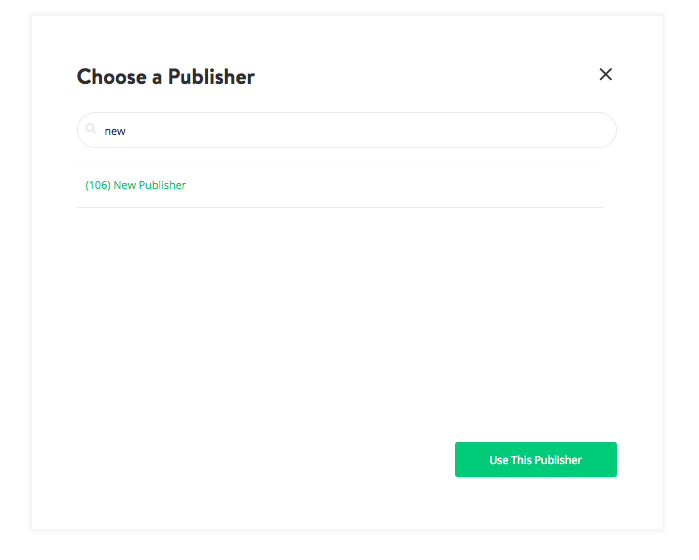 To create a new publisher, navigate to "Supply > Publishers" and press the green create button "+". Name - Enter the name for the publisher. You will later be able to search for and report on the tracker using this specific name. Company - Usually this dropdown will only contain one option; your own company. However, as an agencies you might be managing multiple accounts, and in that case there might be multiple options available to select. Please pick the account the publisher will be active for. Currency - This will be the default currency for all underlying objects (sites, placements and trackers). After filling out these details, check if the play button at the top right is highlighted in green, and then press "Create" at the top left of your screen to save your publisher. After you've created a new publisher, you can move on to create a new site. In the Yieldr Ads platform, a site is the middle level of the sell-side hierarchy (which consists of: publishers > sites > placements). Sites help you to organize placements for management purposes. To create a new site, navigate to "Site" in the left navigation menu, and press the green create button "+". A pop-up will appear, prompting you to "Choose a Publisher", here you select the one you just created. Name - Again enter a name which will help you identify the Site. You will be able to search for and report on the tracker later on using this name. Demand Filter - This functionality is useful for managed publishers and sites, but as you will probably use it for a tracker campaign, it will suffice to just select the advertiser you want to create the site for. After filling out these details, check if the play button at the top right is highlighted green, and then press "Create" at the top left of your screen to save your site. Now that you've created a new publisher and a new site, you can move on to Creating Trackers or Placement Tags.